A good bike insurance plan helps you ensure a safe ride every single time. 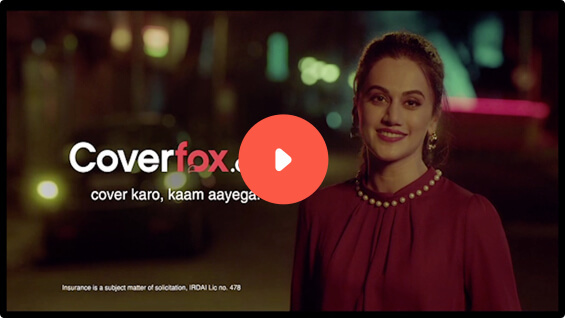 With 12+ two wheeler insurers and numerous products to choose from, Coverfox works actively to find a plan that is ideal for you. We mean, the best one. From providing you with all the right information to offering unbiased comparisons, we do it all. Hey, you don't even need to engage with the insurer yourself. What is Two Wheeler Insurance in India? The concept of two wheeler insurance in India was introduced by the Motor Vehicles Act, 1988, and all motor insurance products in India are regulated by the Insurance Regulatory Development Authority of India (IRDAI). IRDAI, after a recent directive from the Supreme Court of India, has made it mandatory for all two-wheeler vehicles in India to own a 5 year third-party policy, right at the time of purchasing the vehicle to be able to legally ply on Indian roads. Vehicles running on roads in the country without a valid insurance policy are liable to attract heavy penalties. Hence, every owner of a vehicle has to hold at least a mandatory third-party liability cover, which is the minimum coverage offered on car insurance, including two wheeler insurance. Two wheeler insurance is categorized under a motor insurance plan that is a part of the general insurance industry. A two wheeler insurance policy offers policyholders a financial coverage against theft or damage incurred to or by your insured two wheeler. Without a valid bike insurance policy, you have to bear the entire financial burden in the case of loss or damages arising from an accident caused to or by your two wheeler. Two Wheeler Insurance policies also offer coverages against certain specific instances of natural calamities and manmade disasters like storms, earthquakes, landslide, strikes, riots, terrorist activities, explosions, theft, etc. In the event of such occurrences, you will be eligible for the pre-decided sum assured as mentioned in your valid two wheeler insurance policy. To avail these benefits, if and when the need occurs, the policyholder has to pay a pre-determined premium over a certain period of time to the insurance company. Personal Accident Coverage on two wheeler insurance extends to up to Rs.1 lakh in case of damages caused to the insured two wheeler due to an accident. Available on cost-effective pre-negotiated premium rates, starting from an amount as small as Rs.600. Some insurance companies offer up to 70% discount on premium with a no-claim bonus on their who wheeler insurance policies. Why Two Wheeler Insurance is Required in India? As per the Indian Motor Vehicles Act, 1988, all the motor vehicles plying on the Indian road must have a valid insurance policy. It is illegal to ride your two wheeler on Indian roads without having a third party liability cover. A liability cover is mandatory to ride your bike on Indian roads. It is important and necessary to have an insurance policy as it provides financial protection against unfortunate accidents that may cause damages to the insured vehicle, damages to the third party property, and bodily injury to the rider, pillion, or pedestrians. You Have No Financial Stress: A two wheeler insurance policy offers you a financial shield in case of theft or any damages caused by or to your vehicle. You are Legally Protected: As it is mandatory to possess an insurance policy to ride on Indian roads, it is suggested to have a photocopy of valid insurance policy all times to save yourself from paying a penalty. You Get a Personal Accident Cover: The insurance company covers the insured up to the sum of Rs.1 lakh, which is payable in case the policyholder suffers total permanent disability or dies an accidental death. You Have Peace of Mind: Since you know you are financially protected against the bike accidental damage repair costs, you certainly have peace of mind. Third party liability insurance is mandatory in India as per the law. This policy covers only the damages or loss caused by the insured bike to the third party or property. It also provides personal accident cover for the bike owner. However, none of the insurers will cover for any loss, damages incurred or theft of the insured bike. To protect your two wheeler completely, you must opt for a comprehensive two wheeler insurance policy. Because it provides a complete financial protection against bike own damages and also any third party loss or damages caused due to the insured vehicle. You don't have to worry, if your two wheeler gets stolen, as a comprehensive policy also covers bike theft. A third party policy covers any legal liability cover, which may be caused by the insured bike. A third party bike insurance provides financial protection to you in case there were damages or injuries caused by your two wheeler to another person or their property. It is the basic and mandatory bike insurance policy as per the Motor Vehicles Act, 1988. Personal Accident Cover in Two Wheeler Insurance: A third-party policy covers a compulsory owner-driver, and offers an optional pillion rider cover. Owner-Driver Personal Accident Cover: A Sum Insured of Rs.1 lakh for the owner-driver in case of a permanent total disability or an accidental death on a premium of Rs.50. Optional Pillion Rider Accident cover: Pillion rider personal accident cover up to the sum insured of Rs.1 lakh is available on paying an additional premium. Own Damage of your two wheeler is not covered. Any damage incurred to the insured bike due to an accident is not covered. The policyholder will have to pay the repair cost. Accidental damage/loss/liability borne outside the prescribed geographical area. Claims arising out of any contractual liability. Accidental loss/damage incurred by the third party that might have resulted from a consequential loss. Loss, damage, liability caused due to war, invasion and other warlike operations. Any liability caused due to radioactive contamination or nuclear weapons. Own Damage: A comprehensive two-wheeler insurance policy provides financial protection against any damage that may incur due to any man-made or natural perils. For instance, if your bike gets burned or stolen, you will be compensated under a comprehensive policy. A comprehensive bike insurance policy covers bike own damage repair costs and also any third party liability. With a comprehensive two wheeler insurance you are covered for both own damage and liability. Let us see an example to understand the difference between a liability cover and comprehensive cover. Amit and Sanjay bought a new Honda CB Unicorn self-start 150cc bike in Jan'17. The on-road price in Mumbai is Rs. 80,000/-. Amit insured bike with only a Third-party cover. Third-party premiums is on the basis of Engine CC. So the premium is Rs.770/-. While Sanjay bought a Comprehensive policy (covers own damage + third party liability cover), which cost him Rs.1,200/-. In the month of June, both met a minor accident. And the total repair cost turns out to be Rs. 6,000 (approx.). Because Amit had bought only third party policy, the whole repair cost incurred will be borne by him. The insurance company will pay only third party property damage cost. Nothing for any damages incurred on the bike. Since, Sanjay had bought a comprehensive policy, the insurance company will pay the repair cost (after deduction for the depreciable parts cost) on behalf of him. Total Money paid by Amit is Rs.6,770, whereas, Sanjay paid Rs.1,200. On the face value, Amit saved money on the premiums paid. However, he had to face huge loss of money that came along with the bike damage. The total loss borne by Amit is of Rs.6,770. Note: All the prices are indicative and are subject to change. These are optional add-on paid features that you can avail by paying a little extra premium on your comprehensive two wheeler insurance policy. Zero Depreciation or Nil Depreciation: At the time of claim, the insurance company does not pay the complete repair or replacement cost of your bike's depreciable parts. Depreciable bike parts such as rubber, plastic, metal are not fully covered. The depreciable cost is deducted at the time of claim repair. And this must be borne by you. But with the help of two-wheeler comprehensive insurance with zero depreciation add-on cover, you stay covered for those depreciable repair or replacement costs. Because of this add-on cover, the insurance company pays the full amount of repair and/or replacement at the time of claim except for tyre(s) and tube(s). Engine Protector: The damage incurred to the engine is not covered even under the comprehensive bike insurance policy. So, the damage to the Engine or Gear Box due to the leakage of lubricating oil, water ingression, clogging can be covered under the Engine Protector add-on. The insured bike gets covered in case of repair or replacement of crankshaft, pistons, connecting rods, gear shafts in gearbox, etc. Damages that might happen to your bike in an accident. Damages caused if you were caught riding under the influence of alcohol. Personal Accident Cover - if you (the owner-driver) are injured in a bike accident, the insurer compensates you. Loss and damages that may be caused because of a war or a nuclear strike. Financial protection to your bike from natural calamities such as floods, earthquakes, etc. Accident-related damages caused while you were using your two wheeler for illegal activities. In case your two wheeler gets stolen, your insurer will pay an amount equal to your bike’s IDV. Damages caused or losses incurred to your two wheeler while you were riding without valid license. Coverage for damages caused during a man-made disaster. This includes riots, strikes, fire, and terrorism are covered. Regular mechanical expenses due to consistent wear and tear. Why Compare Two Wheeler Insurance policies online? Choosing bike insurance is not at all easy like choosing and buying your favorite bike. With so many insurance companies providing you two wheeler insurance it just gets confusing and complicated. But Coverfox.com makes it easy, simple, and straightforward. No matter which or what type of two wheeler (scooter, scooty, bike, cruiser, sports bike, etc.) you ride, you can compare and choose the best two wheeler policy online. The ideal way is to compare two wheeler insurance policies online before buying one. With so many insurance companies of India offering the best of their services and two wheeler insurance policies, it is difficult to buy the right type of insurance policy. This is where Coverfox comes into the picture, we help you in making the right decision. Coverfox provides a smooth and easy to use comparison platform. All you have to do is just enter your two wheeler details such as make, model, variant, RTO location, and the year of purchase. Once all these details are entered and you click Get Quotes, you can see the insurance policies offered by the top insurers. You can easily compare all the features, details, and the premium quoted. With Coverfox, two wheeler insurance comparison is instant and simple. Insurance premium is the amount you pay to get the financial protection against the risk of any loss or damages caused to or by your vehicle. The insurance company pays up to the Insured Declared Value of your vehicle in case of claim lodge due to an accident, theft, or third party loss or damages. To get the right premium you need to enter the basic two-wheeler details such as bike number, or bike make, model, registration center. Once you fill up the details, policy details and premiums from different insurers will be displayed. Then, you can compare the policies, premium breakups and the amount charged for each feature. If you want to buy only liability cover, select only “Only Liability Cover” from the drop down menu, it will fetch the premium amount. The Third party liability premium is same for each company as it is decided by the IRDA each year and it changes every year. To calculate the two wheeler premium for a comprehensive policy select “Comprehensive” from the drop down. The two wheeler comprehensive premium differs from insurer to insurer. Third-party premium: The premium for the third-party liability cover is decided by the Insurance Regulatory and Development Authority of India (IRDAI). The premium is based on the engine cubic capacity (cc). IRDAI changes the price every year. Third-Party policy - Covers any loss or damages to the third-party by the insured vehicle. Comprehensive premium: The premium of a comprehensive or package policy differs from insurer to insurer. Since the comprehensive policy provides financial coverage for own bike damage, it includes various variables into account to calculate the premium. Own Damage premium is based on the Insured Declared Value (IDV). Factors taken into account are ex-showroom price, age of the vehicle, location of registration. Final Premium = Own Damage Premium + Third-party Premium + Optional Add-on cover charges (if any) + Personal Accident cover (owner-rider) + Optional Pillion Rider cover – (No Claim Bonus + Other Discounts, if any). Having a bike insurance plan is a great way of taking care of the expenses you could suffer in case of damages incurred to or by your bike, which you would otherwise pay from your pocket. Check Insured Declared Value Offered: As you enter your two wheeler details, quotes from different insurers will be displayed. Before renewal, ensure you compare Insure Declared Value (IDV) offered by various insurers. Evaluate your cover: Renewing also lets you evaluate the cover you’ve been offered v/s the other plans in the market. Browse through and pick one that matches your needs! Know your add-ons: Select add-ons that are best suited to your needs and include them in your policy. They might seem as an added expense, but they enhance the policy benefits! Check all the information: Before paying the premium, it is advisable to ensure all the vehicle details and about the vehicle owner are entered correctly. Forgetting renewal date is just human! Having so many things on mind, it's easy to slip through the mind, the renewal due date. Do not worry. Or fret. With Coverfox's support, you can simply renew the expired two wheeler insurance policy. No inspection: Without inspection and documentation, Coverfox helps you to renew your two-wheeler expired policy. No extra or hidden costs: No extra or hidden charges. It comes at the same cost as it costs to renew a regular two-wheeler insurance policy. Instant: You will receive the policy within minutes. Instantly. Best part: As said, no documentation, you don't have to provide previous policy details if the policy has expired for more than the 90 days. Generally two-wheeler insurance plans are designed for one year and have to be renewed annually. However, a multi-year two-wheeler insurance policy is unique. This policy allows two-wheelers to be insured up to three years consecutively at one time. You don't have to renew the insurance each year. This is because you receive a single policy that is valid for three years cover. IRDA hikes the third-party liability portion of the premium by up to 20% each year. Multiyear insurance saves you against the hike of third-party premium and service tax. Renewing your policy once for three continuous years is stress-free as compared to renewing your two wheeler insurance policy annually. Ride safely and happily by enjoying the long-term financial protection of your vehicle for three years. Also, you receive one policy document that is valid for three years. In case of multiyear policy, if the policyholder makes a cancellation in the first year, he can get refund of second and third year premiums. At times, insurance companies offer upfront discounts on multi-year two-wheeler insurance policies. This helps you save on your premiums. If you are eligible for 25% NCB, it's applied on the premium of all 3 years. As per the directive by the Supreme Court, passed in July 2018, five-year upfront cover has become compulsory on two wheeler insurance policies. This new regulation has been implemented since 1st September 2018 and is applicable for all two wheeler purchased on and after 1st September. This implies that every new two wheeler owner would have to shell out a lump sum towards their two wheeler insurance policy on the purchase of a vehicle. However, one benefit of this regulation is that it saves two wheeler owners from the burden of annual renewals. The primary reason behind this move is to improve the penetration of third party liability only covers for two wheelers that have been on the roads for a few years. It has been observed that once a two wheeler ages and it has been a few years since its purchase, owners often tend to skip renewing their two wheeler insurance annually, or buy one that is not sufficient to cover risks. This new regulation will not only ensure that newly purchased two wheelers in India are sufficiently covered against risks, but also safeguard third party vehicles and pedestrians from injuries and accidental death caused by new two wheelers. Why two wheeler insurance policy is mandatory in India to ride a bike? As per the Indian Motor Vehicles Act, 1988, all vehicles plying on the Indian roads must have a third party liability cover. The liability bike insurance policy is mandatory to ensure that in case of a road accident, the person being injured or property being damaged by your vehicle is compensated. How two wheeler insurance premium is calculated? The premium of liability insurance cover is calculated on the vehicle's engine capacity (cc). The premium of comprehensive cover is calculated on the vehicle’s make, model, variant, RTO location, and the age of your vehicle. Who decides the two wheeler insurance premium? The third party liability insurance cover premium for your two wheeler is decided by the IRDAI. The premium for liability cover changes every year. Whereas, the premium for comprehensive two wheeler insurance is decided by the insurance company from whom you are purchasing the insurance policy. How to save money on insurance premium? Who should buy two wheeler insurance in India? Every two-wheeler owner must at least have a mandatory third party liability cover. What is the difference between the third party liability cover and comprehensive insurance policy? The third party liability cover does not cover vehicle's own damage either by natural or man-made perils and vehicle theft. A comprehensive insurance policy provides financial protection against both third party liability cover and own damages incurred on the two wheeler due to natural or man-made perils and bike theft. You can either opt for a secured loan or an unsecured loan. However, the first time buyers mostly opt for an unsecured loan. You can apply for two wheeler insurance online or offline. You can use EMI calculator tool to find out the EMI's. Which plan should I buy in case I have two wheeler loan and am paying EMI? In case you have purchased a brand new two wheeler on EMI, it is highly advised that you must buy a comprehensive cover with necessary add-ons to get complete protection. Because, if there's any damages to your two wheeler due to an unfortunate accident, you would have to bear all the repair cost if you just have a third party insurance. Whereas, if you have a comprehensive two wheeler policy, the garage repair cost is covered under the comprehensive policy. It is also suggested to buy add-on covers such as Zero Depreciation – helpful in case of garage repair bills and Invoice cover or Return to Invoice (RTI) – helpful in case of bike theft. These are useful add-ons and must have add-ons in case of new two wheeler. I stay in Mumbai, does two wheeler insurance cover damages due to floods? A comprehensive two wheeler insurance policy covers damages incurred due to all natural and man-made perils including floods. However, damages to the vehicle's engine or engine parts is not covered under a comprehensive policy. The same can be covered by an engine protection add-on cover. When to transfer two wheeler insurance? Generally, there's no need to transfer two wheeler insurance policy unless you are selling your two wheeler to someone as a second-hand vehicle. In which case, you must ask the buyer to transfer the insurance policy on his/her name. Why to transfer two wheeler insurance? The insurance company will only approve the claim if the insurance policy is in the name of the owner of the vehicle. Therefore, if you have bought a bike or any other two wheeler from someone and you are not the first owner of the vehicle, it is recommended to transfer the insurance policy in your name. The transfer of the bike insurance in your name ensures that your claim is not rejected for this reason. How to transfer two wheeler insurance ownership? To transfer the insurance policy, the vehicle should have been transferred in the name of the transferee. The transferee needs to submit the RC of the vehicle, the date of vehicle transfer along with the application in writing within a specific time. Other details that the insurance company requires are the name of the previous policyholder and vehicle owner, policy number and date of insurance to issue a fresh insurance policy. What is No Claim Bonus (NCB)? A No Claim Bonus is a discount on the own damage premium under the comprehensive policy given by the insurance company on renewal if there were no claims lodged in the previous year by the policyholder. For instance, this is the second year from the date of your bike purchase and you renew your two wheeler comprehensive policy. If you have not lodged any claims in the first/previous year, you get a 20% of discount on your own damage premium as a reward for riding safely. A No Claim Bonus increases with every claim-free year. NCB is cumulative in nature, so it means you can increase the percentage of discount for every claim-free year. To gain the maximum benefit of NCB, it is advisable not to claim for minor damages or dents. Is No Claim Bonus transferable? Yes, as the NCB belongs to the rider and is not attached to the vehicle, No Claim Bonus is transferable on the name of the owner of the vehicle even after the buying a new or old two wheeler and even if you change to a new insurance provider. So, on renewal, if there’s an accumulated NCB, the owner can avail the discounts. How to transfer No Claim Bonus? First, you need to ensure the old insurance policy is cancelled. When you cancel the old insurance policy, you will receive an NCB retention letter. To avail the bonus on the insurance policy, you need to submit the NCB retention letter to the new two wheeler insurer. What are the add-on covers in two wheeler insurance? There are many add-ons that you can attach to your comprehensive policy such as Pillion Rider Personal Accident cover, Zero Depreciation, Engine Protection, NCB Protection Cover, Return to Invoice, Roadside Assistance, Consumable cover, etc. Is there a personal accident cover in two wheeler insurance? When you buy a liability cover, a personal accident cover is provided for the rider-owner on a premium amount of Rs.50 for a sum insured of Rs.1 lakh. There are many insurance companies that provide optional personal accident cover of higher sum insured on paying an additional premium. Moreover, there’s an optional pillion rider personal accident cover, which can be opted by paying an extra premium. What is a personal accident cover in a two wheeler insurance policy? When you buy a mandatory third-party two wheeler insurance, you get a personal accident cover of up to Rs.1 lakh for a premium of Rs.50. A pillion rider/passenger accident cover is optional and can be opted by paying an additional premium. What happens if I ride without a two wheeler insurance? A third party liability cover is mandatory as per the Indian Motor Vehicles Acts, 1988 for all the vehicles plying on the Indian roads. If you are riding a bike without two wheeler insurance you would be charged a fine of Rs.2000, and/or be imprisoned for 3 months. It is therefore suggested not to ride your vehicle without an insurance policy. How to buy second-hand bike? It is easy to buy a second-hand bike with the right kind of knowledge. To know how to buy second-hand bike read – Buying Second-hand Two Wheeler. What is cashless two wheeler insurance policy? At the time of claims with a cashless two wheeler insurance policy, you can opt for cashless garage service through any of the authorised network garage of your insurer where you can get your two wheeler repaired without paying any cash. What is cashless garage facility? Each insurance company in India has set up their garage network. These are authorised garages by the insurance company wherein after your claim approval by the insurance company you can get your two wheeler repaired without paying any cash. The repair bill is submitted to the insurer and the company pays the bill. You must always try to avail cashless claim service by opting for bike repair in such network garages. How to avail cashless garage facility? To avail cashless garage facility, you need to ensure that the bike damages are repaired in an authorized garage of your insurance company. You can simply check the list of network garages online. Find the nearest authorised garage online from the list or simply contact the insurance company. The first step to avail cashless service is to inform your insurance provider about the incident. Thereon, an inspection is setup and you need to submit the repair estimate bill provided by the garage. Since it is an authorised garage, the insurance company pays the bill after the repair is done and the final repair bill is submitted. What is long-term two wheeler insurance policy in India? A long-term or a multi-year two wheeler insurance policy is a way to insure your vehicle for 3 years under a single policy. Generally, you need to renew your two wheeler insurance policy every year, but with a long term two wheeler insurance policy you stay covered for 3 years and need to renew at the end of 3rd year. What are the benefits of long-term two wheeler insurance? How to buy a long-term insurance policy online? You can simply check the list of the companies offering long-term two wheeler insurance using Coverfox’s insurance premium calculator. Once the list of the insurance companies is displayed, from the drop down menu below each company, you can select the number of years for which you want insurance policy. You can select 1, 2, or 3 years and accordingly the premium amount will be charged. What is the effect of GST on two wheeler insurance? Prior to the implementation of GST, service tax and cess was 15% tax on the two wheeler insurance, but after GST, you will have to pay 18% tax on the two wheeler insurance policy purchase. How to renew a 2 wheeler insurance policy for a vehicle that does not belong to you? If you are buying a 2 wheeler insurance for someone else, all you need to do is to enter the bike details to get quotes online, once you finalize the insurance company, while filling the policy document, kindly enter the details of the bike owner so to ensure the policy is in the name of the vehicle owner. What is Total Constructive Loss (TCL)? When the vehicle has suffered damage that is beyond repair (more than 75% of the IDV) is called Total Constructive Loss. What happens in case bike theft or TCL? In case of bike theft, the insurance company pays full IDV to the policyholder. The policyholder needs to submit the original and duplicate keys with “No Trace Report” from police. In case of TCL, the insurance company pays the IDV less salvage value to the policyholder. What happens to your two wheeler insurance policy if you change your job or residence to another city? You need to change the address in the policy with the support of your new changed address. What to do if you lose your two wheeler insurance? If you have purchased online, you can simply login to the account and download a copy to take a print of it. Or check your registered email id. If you haven’t purchased online, request your insurance provider with your bike details and engine chassis number to reissue the policy. How to apply for a driving license to ride a two wheeler? You need to visit the nearest RTO in your city and give a test. After passing the test you will receive the driving license. Regional Transport Office (R.T.O) is responsible to carry out the functions and provisions as mentioned in Motor Vehicles Act, 1988. Every city and state of India have their own RTO (Regional Transport Office), which ensures the enforcement of Motor Vehicles Act, 1988. It is headed by the Transport Commissioner. The basic functionality of RTO Is to issue license, permit to vehicle, vehicle registration, etc. How the RTO location or vehicle registration does effects the two wheeler insurance premium? 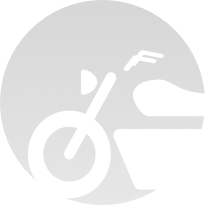 Depending on the registration zone (RTO location) of the bike, the premium varies. In India, RTO zones are categorised as Zone A and Zone B. Depending on whether the two wheeler is registered under the Zone A and Zone B, the premium varies for the same bike model and variant. The two wheeler insurance for a bike registered under Zone A will be charged more than the same bike registered under Zone B. What is zero depreciation add-on cover in two wheeler insurance? A zero depreciation is an add-on cover, which you can attach to your comprehensive insurance policy. If you lodge a claim in case of an accident under a comprehensive two wheeler insurance, the repair cost associated to the repair or replacement of the bike’s depreciable parts are not covered. The costs of repairing or replacing depreciable parts must be borne by the owner of the vehicle (policyholder). But, if you have a zero depreciation add-on cover, these costs are covered and paid by the insurance company. What are factors that affect the two wheeler insurance premium? The third party two wheeler premium is based on the engine capacity. The higher the engine capacity (cc), the higher is the premium. The premium for the comprehensive two wheeler is depended on the various factors such as vehicle’s make, model, variant, RTO location, age of the vehicle, accumulated NCB, add-on covers (if any), discounts (if any), and the number of years for which the policy is purchased. How long is the two wheeler insurance policy valid? Unless and until opted for a long-term or multi-year two wheeler insurance policy, the policy is valid for one year from the date of policy issue. What is not covered in bike insurance? Under the third party liability cover bike’s own damage is not covered. Keep such exclusions in your mind to ensure your claims are legit and approved without any hassle. How to renew two wheeler insurance? You can easily compare and renew your two wheeler insurance policy online. You have to enter your two wheeler’s detail to check the premium quotes. Enter your make, model, variant, RTO location or just enter the number of your vehicle, once the premium quotes from the top insurers are fetched you can choose the best policy for your vehicle. How to renew expired two wheeler insurance policy? You can now renew your expired two wheeler insurance policy without any hassle. No need of inspection or any paper work, just enter your two wheeler’s details as you would have done it with your active policy. Is inspection two wheeler compulsory to renew two wheeler insurance? No, you can renew your two wheeler insurance policy without any inspection also. Is my old bike insurance valid for my new bike? No, your old bike insurance is not valid for your new bike as the engine capacity, engine chassis number, age of the vehicle varies. You need to buy new two wheeler insurance policy for your new bike with the details of your new bike. Why should I compare two wheeler insurance policies? You should compare the premium quotes from the top insurers to choose the best policy for your vehicle. Different insurance offers different Insured Declared Value (IDV) to your bike and accordingly you are charged the premium. When you compare two wheeler insurance, you can choose the best IDV for yourself and purchase the best policy. Why should I renew two wheeler insurance? Without a valid insurance policy, you would be charged a fine of Rs.2000, and/or be imprisoned for 3 months. Besides, without a valid policy, any unfortunate incident that would cause damages to or by your bike would be borne by you. Can I change my current two wheeler insurance provider? Yes, you can change your current two wheeler insurance provider and buy a policy from another insurance company. How to change your two wheeler insurer? You need to cancel the old policy. And buy the new two wheeler insurance policy. But you must remember that any time in between the changing of insurer, you must not be without an insurance policy. What is pillion rider cover? Any person sitting behind the rider on the bike can be covered under pillion rider cover. This cover provides financial protection to the pillion passenger. What is voluntary deductible in two wheeler insurance? Voluntary Deductible, in a two wheeler insurance, is the volunteered amount that a bike owner agrees to pay at the time of claim repairs and against this gets a discount on the own damage premium. You agree to pay only in case you lodge claim, however, you get a discount based on the amount you agree to pay. What is compulsory deductible in two wheeler insurance? The compulsory deductible amount is the mandatory amount the policyholder pays on the approval of claim. This is not dependent on the garage repair bill. It is dependent on the engine capacity (cc). What if you have purchased a wrong two wheeler insurance policy? If you have purchased a wrong two wheeler insurance policy, for instance, the vehicle model is not the same as you own, then you need to cancel the policy. If you cancel after the start of the risk date – policy start date, the refund would be on pro rata basis. It is advisable to cancel the policy before the policy start date. What if you just buy third party liability cover? Only losses or damages caused to the third party property or bodily injury due to the insured is covered. Any loss or damages caused to the insured bike is not covered. How much is the coverage for the property loss in case of the third party liability? In case of the third party property loss, the insurance company will cover up to Rs.7.5 lakh. How to check for cashless network facility? You can trace the authorised cashless garage network facility in the location you would prefer with the help of information posted on the insurers’ website. Or check the list of network garages listed by the insurance company you wish to buy insurance from. What are the penalty charges for riding bike without a valid two wheeler insurance policy? You would be charged a fine of Rs.2000, and/or be imprisoned for 3 months. It is advisable not to ride your bike without an insurance policy. How to buy two wheeler insurance for a second hand bike? What is the full form of NCB and what does it mean? NCB, which stands for No-Claim Bonus, is a discount in premium given to the policyholder when no claim has been filed during the term of the two-wheeler insurance policy. How do I claim insurance for my bike or two-wheeler? To file a claim with a two-wheeler insurance company, first get in touch with Insurer’s claim team representatives via call or email. The representative will inform you about the various documents that need to be submitted to get the claim process moving. The kinds of documents required along with the filled-up claim form will differ depending on the type of claim filed. A FIR will have to be filed in case of damage or loss of vehicle. A surveyor will be appointed to come and inspect the vehicle. If the claim filed is genuine, the insurance company will make the necessary claim payment. What are the benefits of a long-term policy? It has been observed that two-wheeler insurance companies offer better discounts on long-term policies. Additionally, such policies protect one from incurring the annual hike on premium rates since the amount that is first paid will keep the policy active for the 2 or 3 years it has been availed. Policyholders do not have to bother themselves with the hassles of keeping track of premium payments since the coverage is for a longer period. How can I buy two-wheeler insurance online? Two-wheeler insurance policies can be bought either via the website of an insurance company or that of an insurance broker. The advantage of choosing an insurance broker is that users can compare multiple policies and accordingly decide which policy to go for. Almost all insurance companies and brokers provide the facility of making online payments on their portals. How can I renew my insurance policy? What documents do I need for that? If your two-wheeler insurance is about to expire, you can get in touch with the insurance provider and intimate them about the same. Many insurance companies provide the facility of renewing insurance covers instantly on their websites as well. Your vehicle may need to be surveyed for the renewal process. Some of the documents that need to be submitted include the bike’s registration copy, old insurance papers and the renewal application form. How much time does it take for my insurance policy copy to arrive? Policy copies are generally emailed across to the policyholder on the day of purchase. A copy of the same is also sent by post to the residential address of the vehicle owner. Can I transfer ownership of my policy to someone else? What is the procedure? Yes, you can. To transfer two-wheeler insurance, it is necessary that the ownership of the vehicle is successfully transferred to the new owner. Once the transfer is complete, the entity can initiate the process to transfer two-wheeler insurance. The insurance company will begin the policy transfer after the necessary documents and forms are submitted and appropriate fee is paid. What happens if my two-wheeler insurance expires and I want to make a claim? If your two-wheeler insurance has lapsed, then there is no way to file a claim. To ensure this does not happen, always make sure to renew your two-wheeler insurance on time. No, the full premium of the two-wheeler insurance policy has to be paid before the policy coverage can commence. Is my No Claim Bonus (NCB) transferable? Yes, no-claim bonus is transferable. NCB is tied to the policyholder and not to the two-wheeler. A written request has to be given to the new insurer or to the same insurer for the new policy for transferring the NCB from the current plan to a new one. What is Insured Declared Value or IDV in two-wheeler insurance and why is it important? IDV, or Insured Declared Value, is the maximum sum assured that an insurance company would offer against a two-wheeler in the event of theft or major damage, or total loss of the insured vehicle due to an accident. This sum assured is usually equivalent to the prevailing market value of the two-wheeler, at the time of its purchase. It is advisable that you bargain for a sum assured that is closest to the current market value of your two-wheeler. This will enable him/her to claim a fair amount of compensation in the event of theft or severe damages. At times, insurance companies may offer to lower the IDV by about 5% to 10%, as per the discretion of the applicant, when the applicant wishes to pay a lower premium amount and vice versa. When a policyholder files a claim, insurance companies usually consider the age of the insured two-wheeler. Is it possible to renew bike insurance online? Your existing insurer’s official website: You can visit the official website of your insurance company and follow the online insurance renewal procedure. Remember that you must mention the required details accurately. These details include your two-wheeler registration number, your existing policy details, your contact number and email id, etc. Next, you can proceed to the online payment method. The accepted online payment options usually are debit/credit card and net banking. Third-party websites: If you want to change your existing insurance company, you can compare the premium rates being offered on two-wheeler insurance policies from other insurers. After you have made your choice, you can fill up the online form of your chosen insurer with accurate details, and then pay online. What is IDV in two wheeler insurance? IDV, or Insured Declared Value, is the maximum sum assured that an insurance company would offer against a two-wheeler insurance, in the event of theft or major damage or total loss of the insured vehicle due to an accident. This sum assured is usually equivalent to the prevailing market value of the two-wheeler at the time of its purchase. It is advisable that you bargain for a sum assured that is closest to the current market value of your two-wheeler. This will enable him/her to claim a fair amount of compensation in the event of theft or severe damage or total loss. At times, insurance companies may offer to lower the IDV by about 5% to 10%, as per the discretion of the applicant, when the applicant chooses this, he/she has to pay a lower premium amount and vice versa. When a policyholder files a claim, insurance companies usually consider the sum assured and age of the insured two-wheeler. How do I claim third party insurance? Get in touch with the police and file an FIR to officially report the accident. This FIR document is an essential proof that will have to be submitted to initiate the claim. Contact your insurance company about the accident on phone or email. Although insurance companies usually allow a period of 48 hours to get in touch with them, it is recommended that you report the accident as soon as possible to prevent unnecessary delay in the claim process. It is best to keep a visual record of the injuries and damages by clicking photos as references in case discrepancies arise in the future. Present as much details about the loss or accident as possible like registration number of the vehicle that has caused the accident and other essential information. Make sure that these details are accurate and there is no misrepresentation or fabrication of information. A false claim can adversely affect the claim result and even lead to claim rejection. Register a case with the Motor Accident Claims Tribunal Court that is under the jurisdiction of the location where the accident had occurred. In case that is not possible, you can also file the case in the Motor Accident Claims Tribunal Court that covers the jurisdiction of your residence or the residence of your third party. Any other civil court does not have the authority to settle two wheeler insurance claims. What is first, second and third party insurance? In an insurance policy, the insured or the policyholder is referred to as the first party. The first party is eligible to receive the pre-determined sum assured from his/her insurance company, which is known as the second party, in the case of a loss, injury or accident that may be caused by you to any another entity is known as the third party. How many years of third party insurance is compulsory for new bike owners? According to the July 2018 directive by the Supreme Court, five-year upfront third-party liability cover has been made mandatory on all two wheeler insurance policies. This regulation is applicable for all newly purchased two wheelers bought on and after 1st September 2018. What are the documents required for a Two wheeler Insurance claim? What about making claims in case my two wheeler is stolen? In case of theft, you need to first file an FIR with the police (apart from having the other documents mentioned above). Submit a copy of the same to your insurance company along with a non-traceable certificate and the keys of your bike. That’s all! What are the documents required to buy Two wheeler Insurance? What determines the premium in case of new bike? Like always, there are multiple factors that determine the premium for your new bike. What determines the premium in case my two wheeler insurance policy has expired? Generally, your premium won’t be affected majorly. But, if you have a No Claim Bonus that has not yet been availed 90 days before the expiry of policy, you could still lose the benefit. Also, you would have to have your bike inspected by the survey team all over again! What is third-party bike insurance? Getting third-party insurance is mandatory for your bike. In case of an accident, you would be legally and financially liable to the third party. However, keep in mind, it doesn’t cover any damages and injuries that have occurred to either you or your bike. What is comprehensive bike insurance? A comprehensive insurance would financially cover your bike from natural calamities such as floods, fire, earthquakes, tsunamis, etc., including man-made destruction such as theft, vandalism and riots. The icing on the cake? It also covers any legal liabilities that arise due to third party damage/injuries! The compulsory deductible is an amount that is already set by the IRDA. This is the amount that you have to pay at the time of making a claim on your two-wheeler insurance policy. You can choose a voluntary deductible depending on the total amount that you wish to claim. So higher the voluntary deductible, lower the premium. But remember, it is the monetary loss that you have to bear whenever there is a claim. Which bike insurance should I buy comprehensive or third party liability Insurance? If you can invest money in financially protecting yourself from third party liabilities, then why not spend a little more on protecting your bike as well? Thus, choosing a comprehensive plan over a third party plan always makes more sense! What is policy period in a two wheeler insurance policy? Right from the day your policy starts to the day it expires, this entire duration is called as policy period. So always make sure you renew your two wheeler insurance policy before the due date; because even a day’s lapse can change everything! Can I cancel my bike’s insurance anytime? Yes, you can. But then, claims should not be raised subject to 30 days prior to the expiry date of the policy. Then, even a refund cannot be raised. In fact, a nominal cancellation fee might also be charged in such a case. So always take care! What is the IRDA recommended depreciation on IDV value for bike insurance? The Insured Declared Value of your bike is determined on the basis of the manufacturer’s listed selling price of the brand or model. Do I really need bike insurance? We only have three words for anyone who ever asks us this question: Yes, you do! Will the premium for my two wheeler increase after a claim? Once you make a claim for your two-wheeler, you lose out on NCB (No Claim Bonus). Hadn’t you raised a claim, you could have availed NCB, thus reducing your premium in the next policy year. But if you did, sadly, the premium automatically increases the following year. Is the pillion passenger covered in my comprehensive two wheeler policy? Sadly, no. But no need to worry, to get your co-rider covered as well, you would only have to opt for an additional Personal Accident Cover for pillion passenger! What is the amount I get in case of theft of my two wheeler? In case of theft, you can always claim the entire IDV amount. Since, IDV is always calculated on the age of your vehicle, geographical location, and engine capacity, higher the IDV, higher the premium. Is theft covered in my two wheeler insurance policy? Yes, it is. Most of the times, man-made disasters and natural calamities are also covered. However, this differs from insurer to insurer, which is why one must read their policy document carefully! Can I change my insurer? What is the process? It is possible! Just 45 days before renewal, inform your existing insurer and then accordingly, you can port your insurance policy to another insurer. It’s that simple. What are the additional covers in two wheeler insurance? Having add-on covers always serves as a blessing in disguise. The Nil or Zero Depreciation Cover lets you have a full claim on the value of the parts without deducting depreciations on the parts that are replaced after an accident. Depreciation takes a major part of your expenses. To make sure you escape that, opt for a zero depreciation add-on cover by paying a little extra premium. Personal Accident Cover for Pillion Passenger protects the pillion rider as well. Accidents can cause grave injuries to both rider and co-passenger! So, in a way both carry equal risk. With the help of this add-on, pillion passenger can be compensated up to a certain amount for partial and permanent disability. The premium is slightly higher, but worth it! Do insurance companies pay for drunk driving accidents? Driving while intoxicated is a criminal offense in India. If you are responsible for a drunk driving accident then under the bike insurance policy, the insurance provider is not legally bound to meet your own damage claims since the damage was the result of an illegal action. Many two-wheeler insurance companies reject the own damage claims outright. Some may be willing to consider making payment if the driver’s blood alcohol content was not high enough to regard the individual as drunk. The payout result will differ, depending on the situation of the accident and the extent of damage.